Adding the onboard HX-1 module to an ArduinoTrack board is a simple matter of soldering in seven wires, and attaching an SMA connector to the PCB. The Radiometrix HX-1 provides the RF, and also included is the PCB-mount SMA connector (female) to attach an antenna. 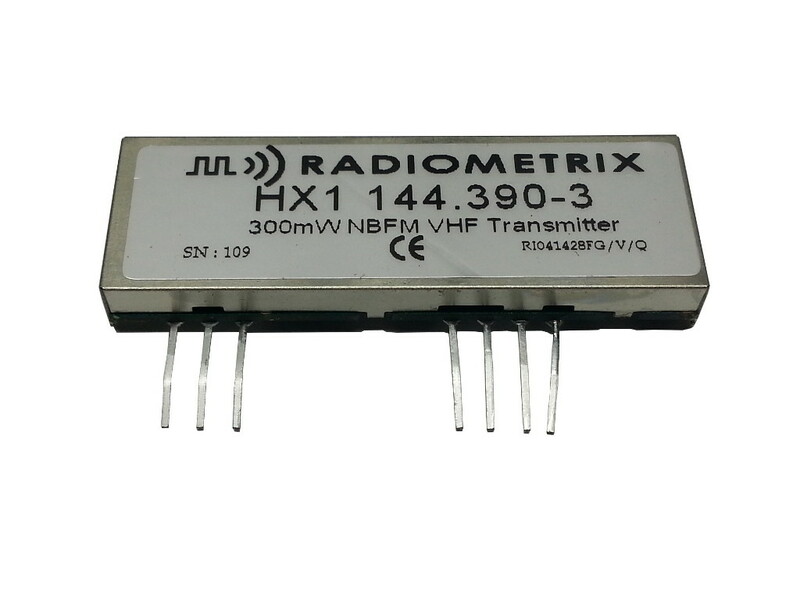 The HX-1 module is Radiometrix's part number HX1-144.390-3. The HX-1 module provides 300mW of RF power which is more than enough for high altitude ballooning. The frequency is fixed to 144.39MHz, which is the standard APRS frequency for the United States. Note: A valid amateur radio (Ham) radio licensed is required for operation of this tracker.